I really enjoyed this book. I have been a member of Goodreads for a long time but as a full-time writer/author, I seem to get less time to read these days. This is something which I plan to correct but exploring a new site can take up a great deal of time. As such, it can really help when someone writes an easy to comprehend book such as this. This helps you to get to know the ropes and to avoid making any newbie errors. Michelle Campbell-Scott has written a great book. She is quick to point out that this site is for readers, not for authors just trying to tout their books. She also makes the whole set-up process a lot easier while explaining the best way to maximise time spent here and in an efficient way - ideal for book enthusiasts with little to no time. Each chapter is easy to read and laid out effectively. She also lists all the info at the end of each chapter as a summary so it's a great way to recap. 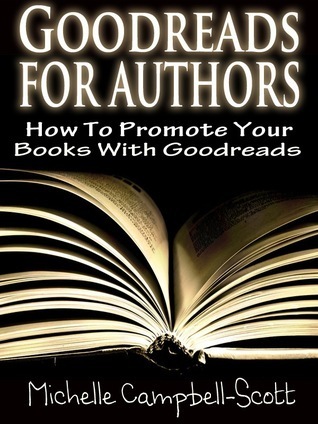 If you are an author new to Goodreads or, like me, simply haven't made enough effort, this is a great starting point. Sign into Goodreads to see if any of your friends have read Goodreads for Authors.